I recently watched an interesting video about a baker in California, Valerie Gordon, who is recreating recipes from popular restaurants and bakeries of the past on the West Coast. She specializes in baked goods and cakes and has produced a number of classic recipes that she stocks in her shop, Valerie’s Confections. To watch: https://dustyoldthing.com/bringing-back-vintage-desserts/ The Brown Derby Grapefruit Cake (<–see link for a version of the recipe from the classic Hollywood restaurant) is high on my list to attempt! 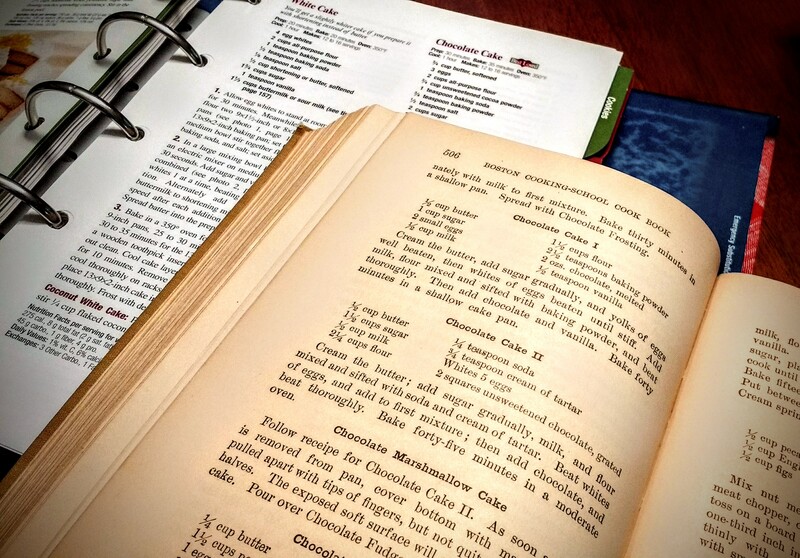 I love a good classic recipe, and not just because they may taste good, but because they taste……like history. The what, the why and the how of eating from culture to culture and decade to decade. 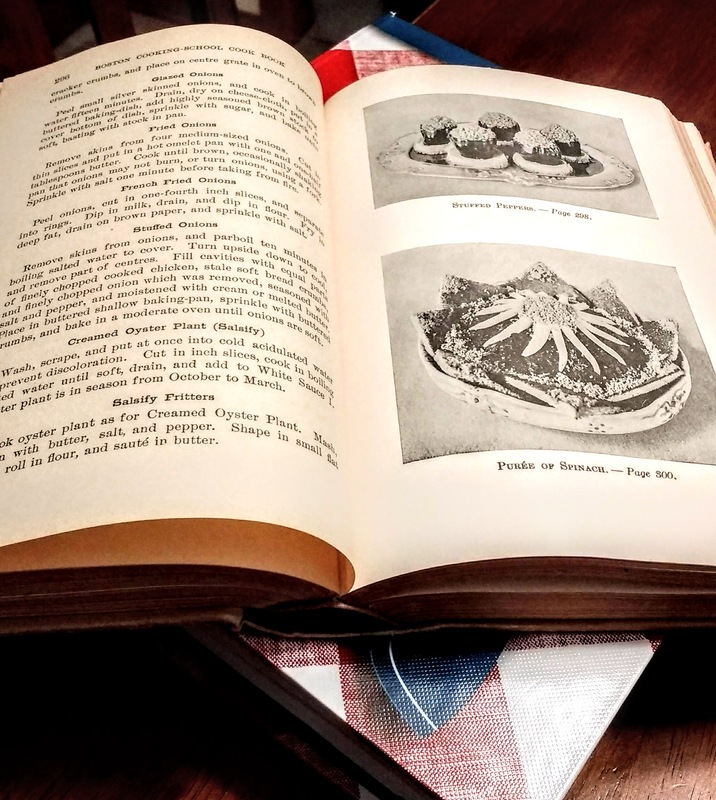 There is another way to experiment with classic and historical dishes, however, that is, through vintage cookbooks. One of my favorites, which is available in both original versions as well as reprints, is the Fannie Farmer Boston Cooking School Cookbook. 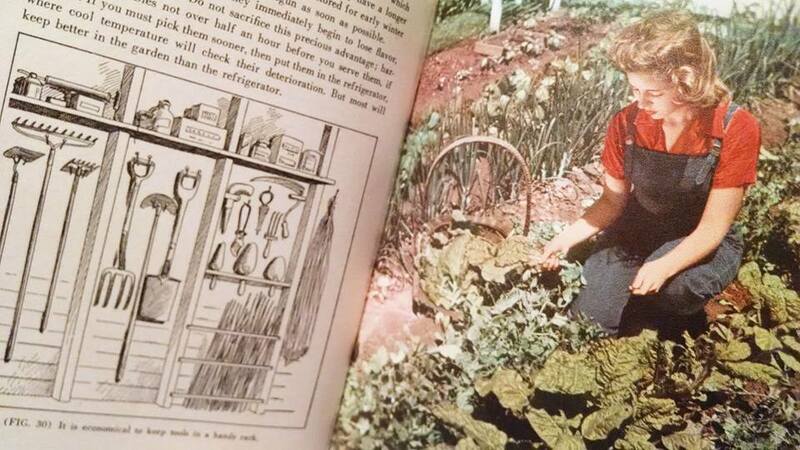 For generations of American women, this was the foundation textbook for daily cooking. 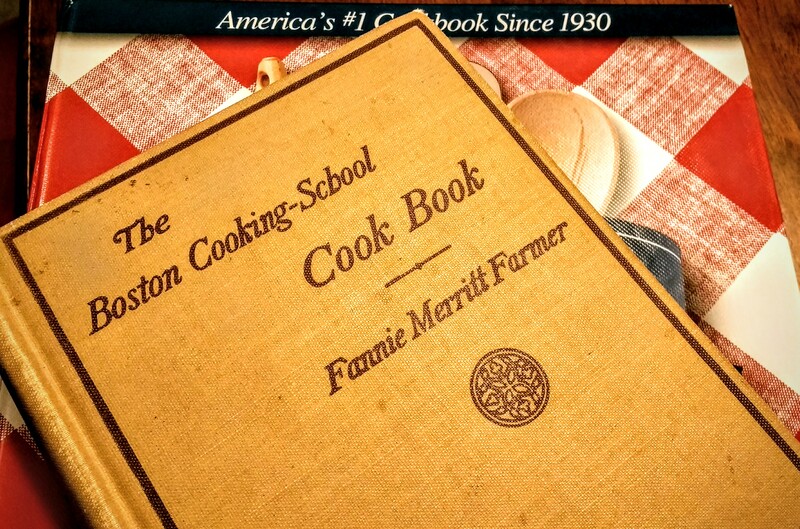 Fannie Farmer was the principle of the Boston Cooking School at the turn of the century, and therefore the cookbook was the product of her curriculum. The simple solution is to look up a modern equivalent recipe, on the internet or in a compendium cookbook like my old standby, The Better Homes & Gardens Red Plaid Cookbook. Find a recipe that is similar to the classic one, say a chocolate cake for a chocolate cake, and use the heating instructions, usually 350 to 400 degrees. However, be careful, and watch your cake carefully to catch any variations that necessitate whipping the dish out of the oven before it burns. But to answer the more important question, why didn’t they have temperature instructions back then? Our modern electric and gas ovens are miracles of mechanics and technology. Back in the day, wood and coal fire ovens were the norm. So cooks got used to gauging oven temps by feel, adding a bit more fuel here or there to increase the temperature appropriately. It was as much an art form as it was a practicality. They were also in the kitchen a lot more than we are, as a rule, so they developed that feel by experience. I have a degree (pardon the pun) of experience in this department because my maternal grandmother had a wood fire oven when I was a kid and I learned to cook with it from her. If you want to learn this skill yourself, when you set your modern-day oven to the proper temperature, and it has finished the pre-heat cycle, test the temperature carefully with your hand at the opening of the oven (don’t touch the hot metal, obviously). Get a sense of how hot it feels and make of note of the exact temperature and mentally connect it with that feeling. It will come in handy if you go camping and need to cook over a campfire, as well. Finally, enjoy the process of discovery, and if things don’t go perfectly well…don’t panic. Chalk it up to experience and education, and then find a modern version that’s easier to do. Learning why your recipe works chemically is as instructive as figuring out why it tastes so good (or bad, as the case may be). Science, art, food, and history, all rolled into one! Have at it and keep thinking history! The recent US election has shown, among many things, that various segments of the population, but particularly younger people are missing a vital facet of education…knowledge of the past and how our written laws and systems of governance emerged from the circumstances of their era and reached up to become supra-generational universalisms (I just made that last one up). For instance, the hotly debated and debased electoral college. Some hate it, but they don’t know why. Some love it, but they don’t know what it is. This is where context comes in. In the study of history (which we all should be doing, by the way) context is a short mental rehearsal of the key players, national and individual, and the geo-political or cultural spectrum of the day. Religious institutions and mores, popular societal trends, styles of government, etc. We do this when we begin to study a new historical topic. Good historians will write books interwoven with context, unfortunately, so will bad historians who make up non-existent context. One has to do a little individual research. For instance, one popular slogan goes, “we don’t need that electoral college, we just need a popular vote!” Sounds all neo-socialist, get rid of the elitists, etc, but the reality is that government structures like the electoral college were originally implemented as a check and a balance against any one side of the US government quadrangle of executive-legislative-judicial-demos (the voters) from misusing its power and presuming to take privileges that don’t belong to it. This was a reaction, in part to the governmental institutions of Enlightenment Era Europe (which only went so far), and the remaining monarchies that ruled nations through both religion and dominion or kingship. The balance of power wasn’t. It was also a reaction to the constitutional monarchy of England and the peculiarly interwoven parliamentary system through which aristocrats and semi-common men could rule. America sought a system with a greater balance of power. And it is only through a kind of intergovernmental detente that our system works. Thing is, many people would like to up end the balance, from all sides of the political spectrum, in order to funnel power their way. Hence we have checks and balances, however imperfectly they function. So there you have it, a small sampling of context and how it applies to understanding the past and the world around us now. Where do you need to apply the tool of context for better understanding? Have you ever walked through the supermarket, or the out-of-doors market (if you are lucky enough to have one nearby) and stopped to appreciate just how much food we have access to on a daily basis? Intellectually we know that there are many places around the globe where food is not so plentiful nor available. Venezuela at the moment is struggling through famine triggered by political unrest and a decade of instability. In other places it is simply the norm to be without. However, to quantify scarcity is sometimes difficult as we stroll the aisles of the supermarket and decide if we want the artisan, “hand-made” (by machines shaped like hands) cumin basil crackers or the tomato pesto anise flavor? Gasp. Was there a time when the western world had to face food scarcity? You bet! 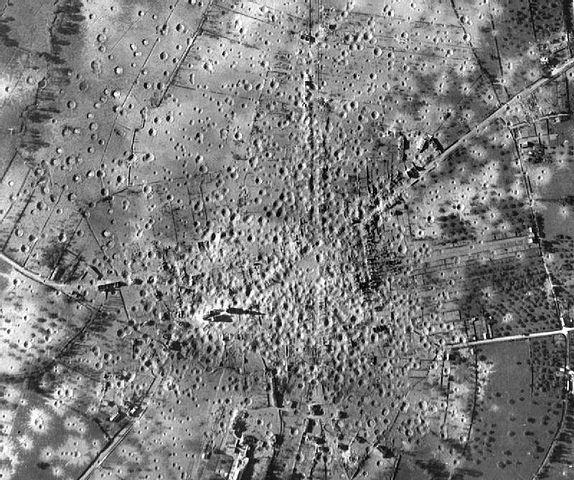 It was called the Second World War. Almost all of the European nations, and beyond, suffered from going without. For much of continental Europe that was a result of having been overrun by hostile armies and subjected to starvation so that food could be shunted back to the German Army. Russians, German citizenry, Italians, the French, the Dutch, Spaniards (who had been going without all through the 1930’s because of a civil war) all faced famine, and the list goes on and on. The British Isles certainly suffered, but theirs was, from the start, superimposed rationing to feed the populace and its soldiery. The Americans, too, ended up with varying degrees of rationing, but certainly not as strict as the British model. And it is to British rationing that we’re going to turn to help get a sense of personal scale of scarcity. The Ministry of Food was the organization that implemented rationing for the populace at the behest of the British Government. When you look over the requirements you realize how little each individual was allowed, but you also see the care and thought given to maintaining vitamin intake for children (fruits and fruit preserves were to be given to children first to sustain healthy growth). Bread and Vegetables, especially the homegrown variety, were not rationed and people were encouraged to grow their own. For adults, vegetables were the mainstay of nutrition. What was rationed, and here is where we can begin to appreciate what and how much we have on a daily basis, was meat. Meat was rationed by price, only so much per person per week and then only of what was available and sometimes that was offal, or organ meats…heart, lungs, intestines, etc. So, no hamburgers or juicy steaks every night for a week! 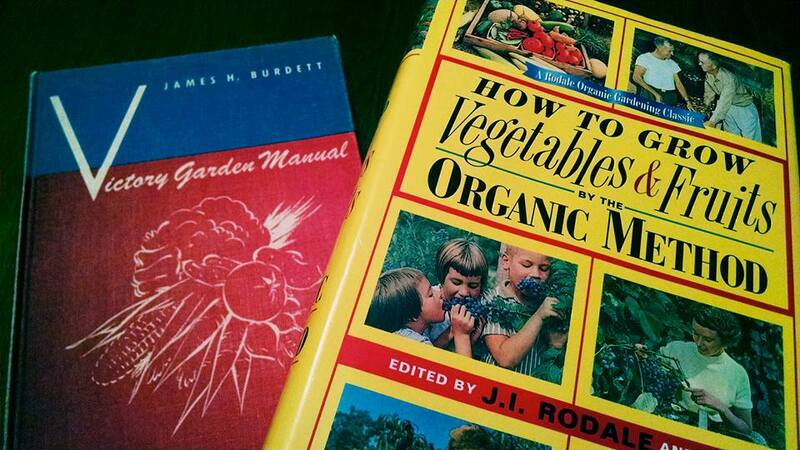 Recipe books of the era recommend stews and pot pies with minimal meat supplemented by plentiful vegetables. My favorite cookbook from this era, incidentally, is a reprint by the Imperial War Museum called, Victory Cookbook: Nostalgic Food and Facts From 1940-1954 by Marguerite Patten OBE, 2002. I found it at a wonderful booksale held in the Guildhall in the city of York…a story for another time. This volume presents reprints from government material produced during the war, much of which was the work of a young woman named Marguerite Patten, whose creativity helped inspire home cooks throughout the war. Milk was also rationed, 4-6 cups per person, per week. Think of what that meant, if you are a regular consumer of hot chocolate you could have a cup every other day, but you couldn’t get the chocolate. But what if you wanted pudding…that requires milk and, whoops, you just used up your allowance. Or baking, which often requires milk… there it went again. Milk in your tea (which was also rationed, think of that the next time you order a 28 oz glass of sweetened iced tea!)? What do you choose? And yes, you could combine a family’s portion, but how did you refrigerate it until you could use it? Refrigeration wasn’t universal in the 1940’s. Powdered milk was a big bonus, but it wasn’t the same as fresh. Something to contemplate the next time you see all those gallons of milk lined up in the dairy section as you absentmindedly grab one. Then were was cheese and butter, 2 oz (yes, two thumbs-size slices worth) of each per person each week! That would give you roughly one small sandwich or two after-dinner cheese chasers or a quick gobble for an afternoon snack…no cheesy, gooey grilled sandwiches to eat four bites of and throw the rest away. And butter, you have to bake with butter, remember? So, cookies, scones, cake…all required major planning and the pooling of amounts between family members (which, in the days of mothers being the main organizer of home was all planned and implemented by mom, kids didn’t get to take their cheese stash to their room and watch it mold). A lot to think about. Belts were tighter then, and interestingly, mass produced bread was made with 1/2 regular “white” flour and 1/2 whole wheat or whole meal flour. As statistics were compiled during this time period, it was found that the health of the nation actually improved as a result of this austere, but very healthy diet. And then we get to eggs, or, I should say, egg. Just one a week, and sometimes just one every two weeks. No high-protein, cheesy, three-egg breakfast omelets, no scrambled eggs, probably few egg dishes at all as these precious few eggs would have gone to work in the weekly baking. 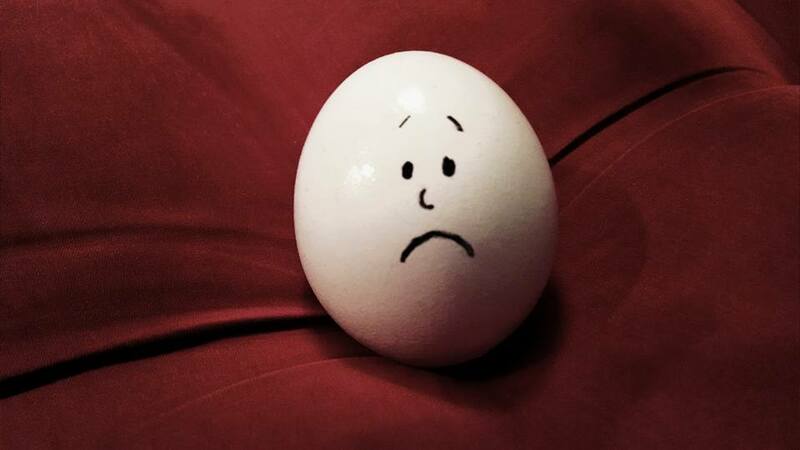 Things improved somewhat when powdered eggs were made available from the US, but if you have ever had the misfortune to consume powdered eggs regularly you will realize what a glorious blessing it is to have fresh eggs at all! Let alone the ability to buy 4 dozen at will! Then there was sugar, and this is killer because I think it is safe to say that we nowadays could be referred to by archaeologists looking back at us from well into the future as the “sugar-eaters”, so much do we consume it in sweets and even in things that should be savory. Sweets were rationed to 12 oz every four weeks. If this was granulated sugar imagine, 12 ounces is just a cup and a half, and the average cookie recipe these days typically calls for 2 cups of sugar, per batch! So for a month you could enjoy the stale remnants of your monthly less-sweet cookie baking binge. But again, even pooled together for a family of four, you would need this sugar mostly for preserving fruits, if you could get them, or making faux-fruit preserves from vegetables…Carrot Marmalade anyone? (quite serious, there was a recipe!). So, as we step off the nostalgia tour bus, I hope you can use this personal-scale food scarcity overview to get a sense of how blessed you may be. While it is vital to do what we can to help others in need, to not waste what we have, and to share, we also need to take a moment, a deep breath, a bowed head, and thank God for what we have. America has a history of overflowing abundance and it is a very popular mindset right now to try to apologize for that abundance (while gorging on it, it seems), but ungratefulness is not improved by embarrassment or apology. To be grateful is to be grateful. 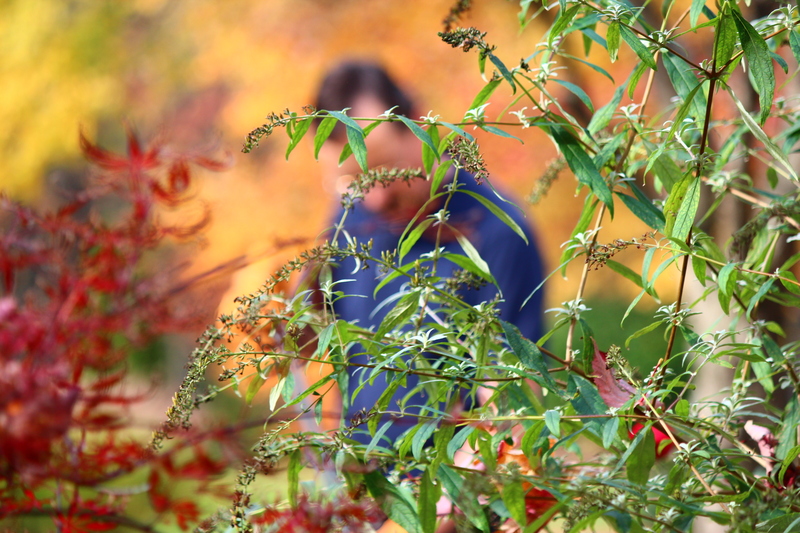 Out of gratefulness flows generosity, while out of embarrassment flows self-consciousness and self-centeredness. So let’s be grateful for our blessings, look outward and share what we have! Can you see it? The detective walks cautiously through the streets of 1950’s Cairo. An American he, owner of the Cafe Tambourine and subject to all manner of trouble, from old friends, shady ladies, and local desperates. Luckily, he is aided in his sometimes inadvertent quest for justice by the stalwart Lt. Sam Sabaya of the Cairo Police. Sound intriguing? Imagine the possible sets, camera angles, visual effects and action sequences! So when is this series going to premiere? Which channel? Or is it on one of the digital media powerhouses, Netflix or Amazon Video? Would you believe……radio? No visual effects, no screens, no adventure sequences filmed with the help of talented stunt teams, just……voices, music, sound effects, and some incredibly talented writers. The show? The Adventures of Rocky Jordan, starring Jack Moyles and Jay Novello. It was on air from 1948 to 1951 and was one of many in the genre of post-World War Two radio detective-adventurers. But the era called “the golden age of radio” wasn’t just about detectives, it included all manner of entertainment, humor, music, drama, news, matching and often surpassing the content of today’s video media. The common element was that it was all audio and though it allowed for amazingly low budgets it did require three vital elements. First, actors with tremendous voicing skills, a finely tuned ability to express all emotions, states of mind, and motivations with voice alone. Next, writers of unsurpassed ability who could develop a script that accounted for descriptions that would normally be explained by visuals, as a result many shows were narrated by the main character to allow for this device. Finally, a sound engineer with imagination, timing, and endless energy to produce all the sound effects that filled in the final details of the audio action. Have a listen! It’s one of the places where history and entertainment meet! Faith and Health: What’s the Connection? According to the findings from the Nurses Health Study, which tracked 75,000 female nurses from 1992 to 2012, the women who attended church most often (Protestant and Catholic were the most common denominations among the nurses studied) had a lower risk of dying. Those who attended church (or church activities) twice a week had the lowest risk of dying, while those who attended once a week or slightly less also had a significant, though slightly less-lower risk of dying. Churchgoers were also found to be more optimistic. Experts have endeavored to determine why this is. Some have posited that it is the social support that improves longevity. Others believe it is the framework of a belief system that provides improved life stability (Corina Storrs, “Going to Church Could Help You Live Longer, Study Says,” CBS Philly at Philadelphia.CBSlocal.com, May 16, 2016). An interesting statistic. Many will find a way to discount it, but it gives food for thought. How does what we believe actually affect us? Do we stand for something? Or not? To go beyond and connect to the study of history: does the historical tradition and impact of ancient documents, such as the Bible, bear more respect as sources of verified history with the ability to create positive change in the life of adherents? Many times I’ve heard people say that studying history in school was their most dreaded class. And almost instantly, and somewhat sheepishly, comes the follow up that they actually liked some of the stories and they find it fascinating now, but history class was so hard to get interested in then. There are many explanations, often it has to do with the teacher. Some history teachers are jewels, and imparting the fabric of the past is their highest goal. However, others taught history because it allowed them to do other things, like coach, or sometimes they had to double up and teach history and literature and they simply didn’t have time to dedicate to creating that gateway between the student and the continuum of history. The gateway is the thing. Think of it as a doorway or passage of curiosity that allows you to enter into the study of history. Not necessarily academic study, but a gradual building of knowledge on a particular part of history or on many parts of history that helps you understand the meaning of it all. There are many gateways. Sometimes a good film about a historical topic makes us want to know more. At other times a biography makes us curious to know more about the people surrounding the main subject. A living history museum might be it, or a piece of art work that begs the question, what was going on then that made the painter create this image, this way? Even religious belief can be a gateway to history, for instance wanting to know more about the lands in which the biblical record took place. Whatever the gateway you find, take it! The value of historical knowledge in the quest for truth cannot be overrated.